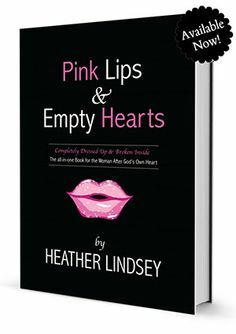 Heather Lindsey: "Valentines Day Blues?" If you're single this year for Valentines day, you may dread the 14th. You're not looking forward to all of the pictures on Facebook, Instagram and twitter that will be posted about all of these couples that are professing their undying love for one another. Although God may have told half of them not to be together-- thus another reason why you should stay in your lane. But anyway, if you find yourself wishing that you were in a relationship or had a Valentine, well-- then this blog is for you. I just want to remind you of a few things. 1. Anybody can get a ring and get into a relationship. It's when you actually have a standard you will find that your standard "runs" off men. You may look at yourself and say-- I don't want too much! I just want a saved man that loves Jesus, is fine and isn't wimp! Is that too hard to ask?! And to answer you: NO! It's not too hard to ask! But there's seasons under the sun for everything, including a relationship. (Ecclesiastes 3:1). What do I look like getting mad at summer because it isn't here yet? I know that by about June, I can expect summer. I have faith that summer will come and I won't dwell on the fact that it's not here. Instead, I put my boots and coat on and do what I need to do. I believe that if its a desire in your heart to be in a relationship that God will open that door at the RIGHT timing. Stop trying to help God open that door. Sit down, relax. Spend crazy time with God and enjoy this season. You may say, well-- "what about the 60 year old woman who has never been married? How do I know I won't be her?" Well, I would need more information. Maybe God did send her a FEW great men, but she shut everybody down because she was looking for a worldly man in the church that made 6 figures. She never gave her type to Jesus so she kept writing off.. godly men because she was never really a godly woman. She just said it but her actions proved that she wanted a man-- her way. I'm just sayin'. So, don't go out with a RANDOM for the sake of just having a date on Friday. A random is somebody that you KNOW you will never marry but you are bored & lonely. Honey, He cannot fill that void. 2. Be content during this season. I often encourage women to enjoy each season because once they do get married, they will WISH they would have enjoyed the quiet space they had. If I can be totally real with you-- I didn't enjoy that season as a single because I kept cramming randoms into that space that had NO business being there. Although I finally cut everybody off about a year before I met my husband, I still wasted YEARS chasing after men that cheated on me & played me! What a waste of precious time sis! So, lets be content in this season. Lets enjoy Jesus. Lets have date nights with Him. Lets have tea time. Lets ask Him to renew our fire & zeal for Him! I blogged about "How to Spend Time With God" here. 3. Go hang out with your girlfriends! Now, just don't hang out with any o'le friend that will complain all day about today being "V-day" and she wants a man, and this & that. No, no, no-- you don't have time for all that! You are working on something! You are focused on what God is telling you to do! So, go out to eat with your friends, have a sleepover, do something-- but don't dwell on what you think you're lacking! If God saw fit to bring your spouse, HE would have been there by now. So, relax. 4. Enjoy quiet time alone. I used to hate quiet time alone on a Friday night because I would hear my thoughts and I didn't like what I heard. I wanted the clutter of relationships (even if they weren't good ones) because then I didn't have to face my lonely feelings. Hang out with your friends if you have peace about it but you may need to plan a candle light dinner for one in your dining room and just talk to the Lord! Cry out to Him! 5. Burn his phone number. We HAVE to cast down stupid thoughts! 2 Corinthians 2:5 says "We destroy every proud obstacle that keeps people from knowing God. We capture their rebellious thoughts and teach them to obey Christ." So, if you are getting tempted to reach out to an ex, just to say "Happy Valentines day & remising about what ya'll used to do-- you're only opening yourself up for an attack from the enemy. Because you will soon go back to that place and you will remember the way you used to feel. Even if it was dysfunctional-- anything seems better than your current state. Honey, it's a LIE. It's an ILLUSION and satan is looking to destroy your mindset! So, cast down those bad thoughts, burn his phone number, stop stalking his facebook page with his new girlfriend and STAY focused. Why don't we focus on our 1st love who is Jesus Christ today versus a pretend love that never really loved us in the first place. Thank you so much for this post sis! I am single this Valentine's Day, and instead of being sad about it! I've decided to have my first public date with God! I'm so very excited! I blogged about my Valentine's Day date as well! :) Check it out if you can! Love you! Great points in the article. I admire your continuous advice for us to spend time with the Lord. Truly it has inspired. Read the Script this morning "He that dwells (remains) in the secret place of the most high shall abide under the shadows of the Almighty. What are your thoughts on valentines day? In terms of is it a pagan day etc? What you any researchers etc? Hy Heather I just wanted to correct the verse about bringing every thought into captivity to the obedience of Christ. It's 2 Corinthians 10:5 :) I really needed to read this article and thank you for this! For many years this was me. And for the very first time I'm completely thrilled by my single status and I'm embracing it. 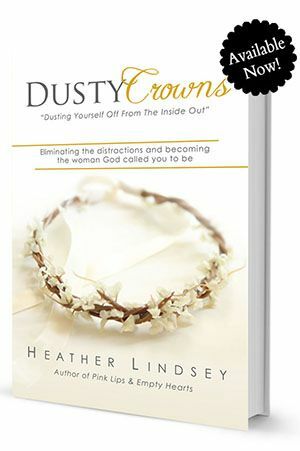 When I first read your blogs and books Heather, I didn't understand how you became so content with being single. And now for the first time, I understand. It's something you can't example. There's a peace with letting God be your focus with no other distractions. People keep asking how I got to this place and I tell them it wasn't until I FULLY casted everything to God. That was hard for me to do as I was an over thinker and analyzer. But to the women reading this blog, stay encouraged. I consider the true Valentine's Day to be Good Friday. Now that's what I call love! Ask yourself, is a box of chocolates and a rose worth a day of tears? Instead of looking at this as another year without a mate, look at it as another year closer than you were last year to spending the rest of your life with your one day ministry partner. wow, thank you for your supplement, it spoke right to my spirit together with Heather's words. thank you. Hi Heather. My name is Heather Lenzy. A friend of ours sent us a link to the Christian Dating Culture article on The Christian Post. I'm not one to respond to blog posts or articles or even reach out to a stranger, but when I was reading your story I felt as if I were reading my own life. Ironically from someone with the same name, just a different spelling. My husband Adonis and I just wrote a book called Dating In Black & White. 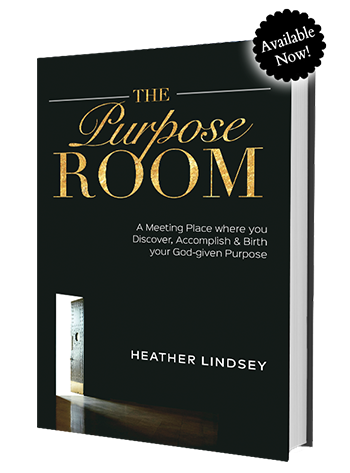 It's a book about our struggles and how we both wanted something different and applied Biblical principles to our dating process including sexual purity. Our book is being released later this week and reading the article was just confirmation on how much it is really needed. Thank you for sharing your story and for inspiring others! I greatly agree with this post. It is SO important to remain single and content in Jesus. I will mark my 3rd year anniversary of being single in March 2014. 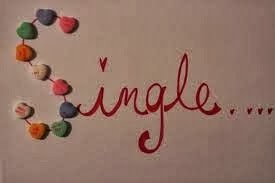 Yes, I actually have anniversary dates of singleness (marking the years of sincere singleness). During my almost three years of singleness so far, I can HONESTLY say that I have not went on a date. I say this not to be some type of "Super Christian" or to say that to think I am better than anybody. But I honestly say it to encourage people and to say that if I CAN DO IT...Anyone else can with the help of Jesus. I am convinced that God will help you in areas if YOU SINCERELY wanna be helped. I have told my story to some other people, and they were quiet inspired. This will be marking my third Valentine's day as a single, and GLORY BE TO GOD...I have made it another year single with no distractions. 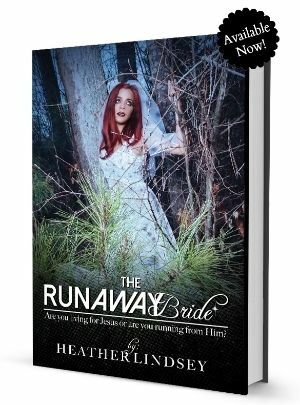 Heather, I thank God that you let Him use you the way that you do. God is so amazing and I am convinced that He is a DELIVERER!! youwrote this for me....i felt really bad remembering the fact that i am single with no date on vals day.....but reading this post has given me more insight on what singleness is all about.Im not going to cry no more but im gonna revel in the fact that i have the best love which is JESUS..AND at the righttime ,he would bless me with a spouse..